This well-maintained ranch style home is move in ready ! 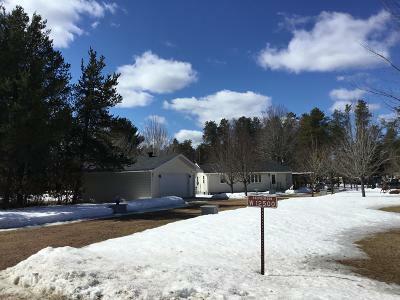 Located across the street from County Land with access to the ATV & Snowmobile trails from the property. Home features a 14 x 22 living room with T & G walls, 2 bay windows . Large eat in kitchen with plenty of cabinets and island. Frist floor laundry off the 2 large bedrooms with a full bath and plenty of storage. Large mud rooms leeds to the basement with a work shop & pellet stove ready for your finishing touches. Plenty of room to store your toys in the 2 car garage & 10 x 24 Shed. Natural gas , well & 1000 gallon septic.